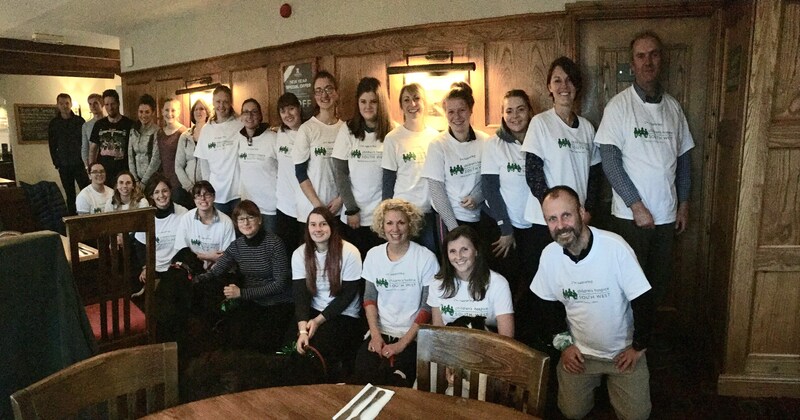 Castle Veterinary Group based in Launceston recently took on an 18 mile sponsored walk to help raise money towards their Charity of the Year partnership with Children’s Hospice South West (CHSW). Castle Vets is one of the largest, independent vet practices in the south west, treating both pets and farm animals across north and east Cornwall and west Devon and the relationship with CHSW started back in the summer. Following the launch of the partnership 30 colleagues from across the Veterinary practice decided to take on a sponsored walk from Wenford Bridge all the way to Padstow on 25th November and over £3000 has been raised for the charity from the walk. One of the organisers of the walk Nikki Hicks said; “We were very lucky as the sun shone on our walk. It was great that so many of us from across the practice came together and helped raise money for the brilliant work of CHSW. All three of CHSW’s children’s hospices, including Little Harbour in St Austell, offer a home from home for families who visit for short stays. These breaks allow parents to recharge their batteries and make the most of the fantastic 24/7 care offered to their children as well as the opportunity to seek advice and support. Little Harbour alone costs around £3million a year to run which is raised almost entirely from voluntary donations.